Home insurance is designed to return you to whole. This is called “indemnification”. It is not designed to leave you better or worse than you were before the claim occurred. There are many nuances to the types of damages or claims you can incur so the indemnification process is not always perfect and sometimes you could feel or perceive you ended up better or maybe even slightly worse than you were before. It’s just the nature of insurance. Let’s take an example of a TV damaged in a small house fire. You had an old TV. You know, one of those old, ancient giant box TV’s. Yeah, it was pretty hot stuff around 2000 when you first bought it. It was probably top of the line! But man, those things were behemoths! You had always intended on replacing it, but hey, it worked just fine right? Well, now that its all burnt to a crisp, it certainly isn’t working and now you are faced with replacing it. You receive your claim settlement and off you go to the local big-box electronic store. Low and behold, you can’t find that same TV anymore! They are all super slim and now they are even “smart”! So here you are now, back home with your brand new shiny flat screen, 4K resolution, Smart TV. Was your last TV 4K resolution? Not likely. Was it super slim? Nope, and it certainly was not “smart”. Yet, your new one is all of these things and more that your old one wasn’t. 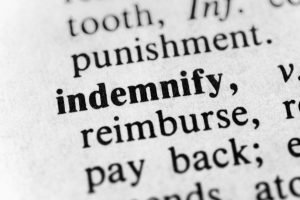 Were you indemnified? Seems like you were and then some! This is how it goes. Most home insurance policies are intended to replace what you have with items or materials that are of “like kind and quality”. That “like” word is key here. It doesn’t say “exact”. And honestly, it can’t. Take the TV example above. You simply wouldn’t find a new version of that exact TV. So we use the word “like”. We want to get back to as close to what we were before and if that means it’s a slight change or the new version is vastly improved, then so be it. In the TV example above, it’s pretty straight forward. You had an item that was damaged and it was covered by your insurance. However, you can have a loss where not all the damage or damaged items are covered by your policy. Insurance does not always cover 100% of your damage or loss. So what happens when we have a loss that gives way to discovering additional problems with a home that may not have been revealed had the loss not occurred? Let’s say this same small house fire led way to discovering the wiring in your home was out of date and not up to current building codes. Following the idea of “indemnification”, you had old and out dated wiring so it should be replaced with outdated wiring, right? Well…no, not exactly. 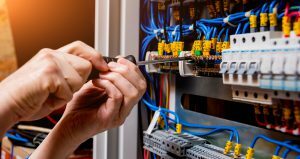 Your home insurance won’t replace the wiring with outdated wiring, and that’s a good thing. It was probably not up to code for good reason so you wouldn’t want to have the same thing installed. So, just like the TV then, you should get brand new, fancy and up-to-date wiring, right? I have bad news for you…the answer is a resounding “NO”. Home insurance policies have what we call “exclusions”. These are things that are specifically not covered by the policy. A common exclusion found in most home policies is called “Ordinance or Law”. Ordinance or Law, meaning enforcement of any ordinance or law regulating the construction, repair, or demolition of a building or other structure, unless specifically provided under this policy. This means that you are likely on the hook for any building code related issues that arise as a result of a covered loss on your home insurance. The real kicker can be that when these issues are discovered, contractors cannot continue the work or repair unless those issues that are found are brought up to code. This means you are now faced with possible out of pocket expenses related to these repairs that you weren’t anticipating that will have to now be done in order to get your house back to normal. 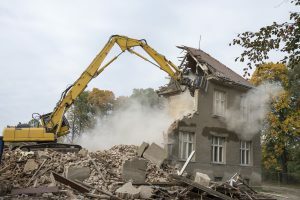 Most local ordinances require the total tear down and demolition of a building when damage surpasses a certain percentage of the total house. That may be 40, 50 or 60 percent of its value. It can vary greatly from one municipality from another. This means that if your cities percentage is 40 percent and your home is more than 40 percent damaged, the entire home will have be tore down and rebuilt. If your policy excludes Ordinance or Law, the tear down cost and the rebuilding of the undamaged portion of the home would have to come out of your pocket. Yikes! The good news is that most home policies include some coverage for Ordinance or Law. Or, you have a good agent who has added this coverage to your policy…hopefully. Even though most policies exclude it, there is another section of the policy called “Additional Coverages” where your policy may “give back” a small amount of coverage for this. I say “give back”, because it’s taken away from you in the exclusions section of the policy. Most policies give back a small amount, typically around 10% of the dwelling limit. That may likely be enough for the more common Ordinance or Law issues that arise but certainly would leave you lacking in the scenario above where the undamaged portion of the house has to be tore down and rebuilt. With most companies, you can buy more Ordinance or Law coverage and it really isn’t that expensive. With many companies you can increase it all the way up to the dwelling limit of the policy. While the thought of having an uncovered Ordinance or Law loss can be terrifying, you can fill in this gap in coverage pretty easily and pretty inexpensively. Feel free to call us and let us look at your policy, whether you are insured with us or not. We’d love to have the opportunity to talk to you more about this and how you can better protect yourself from an uncovered Ordinance or Law claim.